Antique Cranberry MOSER Casket with Applied White & Powder Pink Glass Flowers and Leaves. 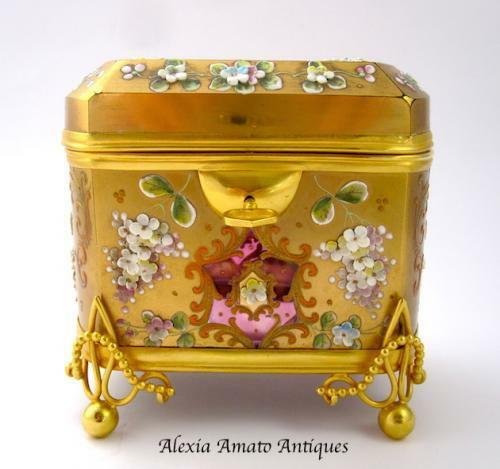 Also Decorated with Gold Enamelled Scroll Work andFlowers. Lovely Dore Bronze Ball Feet.